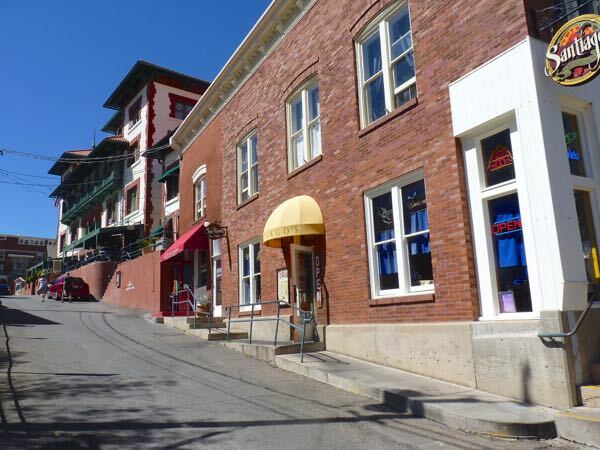 A friend of mine grew up in Bisbee and suggested a visit to see this historic mining town in southeast Arizona. It was built in the mountains at 5,710 ft, so the streets are either uphill or downhill. The popular destination retains an early 1900s sense of the thriving Queen of the Copper Camps. There were lots of hotels, bars, restaurants, antique shops, and art galleries. I wandered in and out of the storefronts and chatted with the clerks. Santiago’s restaurant was recommended, but I had already eaten. Up the street was the famed Copper Queen Hotel, noted for ghosts that roamed the halls (I didn’t see or hear them) and their old saloon. A walk up Brewery Gulch found St. Elmo’s Bar, second oldest operating in the state. 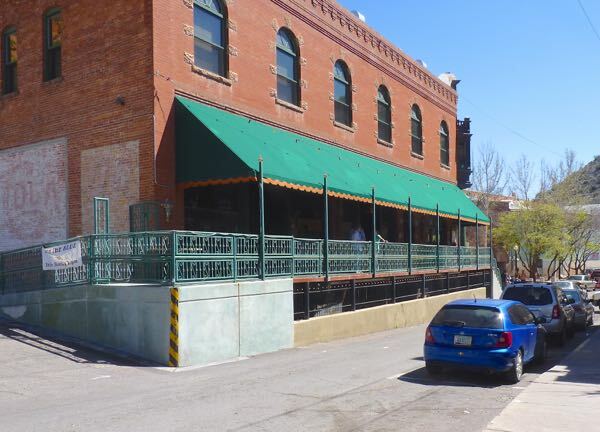 Also saw the Old Bisbee Brewing Company, the Stock Exchange Saloon and a mural on the side of a vacant building. Once known as the saloon and brothel district it still had that ambiance. In the JF Thamm Gallery, I met the artist and we shared stories about painting. He had some pretty nice plein air pieces and character portraits. Another gallery had some good contemporary work. 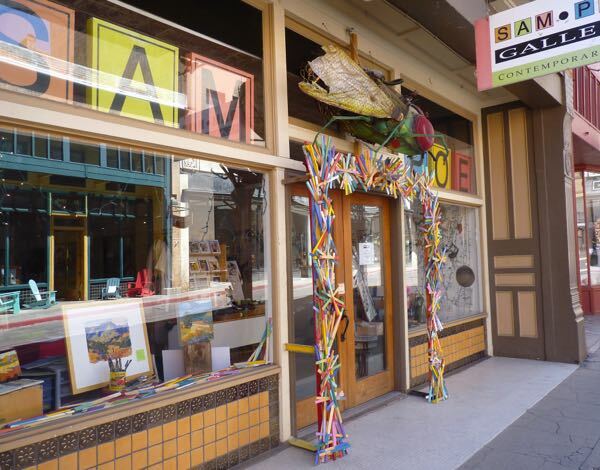 There were also plenty of jewelry, crafts and clothing boutiques. 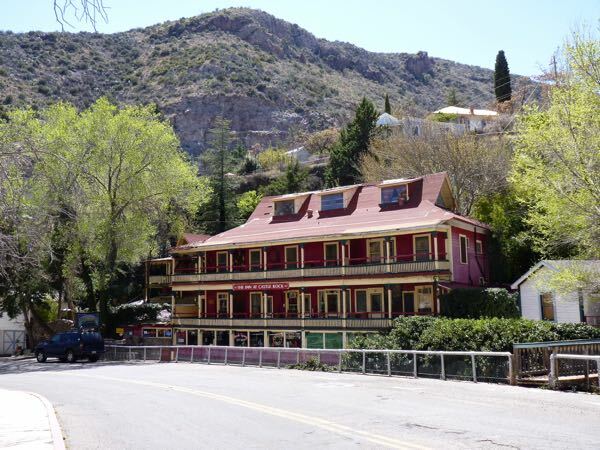 There were plenty of other things to do, like the Old Bisbee Ghost Tour at night, Lavender Jeep Tours in the surrounding hills, Queen Mine Tour deep into the bowels of the earth, the Bisbee Mining & Historical Museum and Heritage House. But, strolling around and getting a feel for this interesting town was enough for me. Bisbee reminded me somewhat of an old New England village in the hills. I’m sure the tours would be fun. Looks like an interesting and colorful place. Wouldn’t mind spending a day exploring there! Lots to do there and visually appealing. I’m sure you would enjoy a visit. 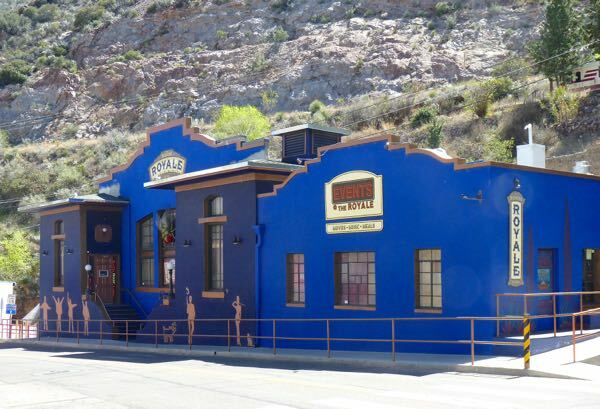 We have many pleasant memories of Bisbee & it is one of our favorite places. Just a mile east of the Whitewater Draw on the same side of the road is the ranch where we did our ranch sitting for a few months each winter for 3 years. The brown house with a wrap around porch is actually made of straw bales & the folks built it themselves & I think the Ranger fella’s name at the Draw is Corky. Your sure in the right spot to see lots of birds & especially the daily take-offs & landings of the Sandhill Cranes. Look for the Great Horned Owl in the rafters of the big shed there. I liked Bisbee too. Headed to Whitewater Draw later; watch for a post. It is indeed a swell place, and getting more popular. I hope it doesn’t get any bigger or more crowded. It’s almost there already; at least for my tastes. I’d be living there now, if it weren’t for some health issues. If it gets more crowded, I’ll have to rethink things. Although I don’t think there’s anyplace worse than this traffic in Largo, I’m so sick of it! I know what you mean about Largo, Dorothy; and understand. 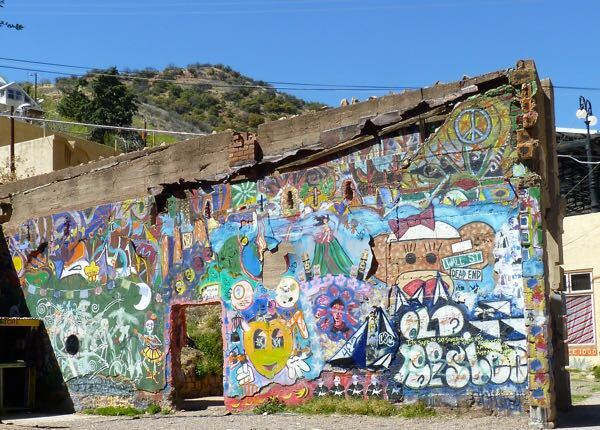 Bisbee would be a better choice over lots of other places.